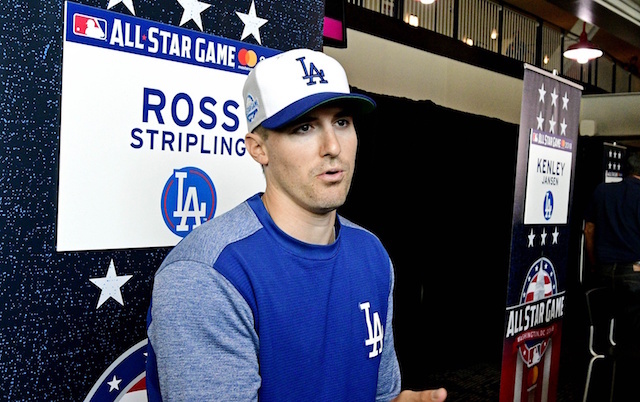 Arguably the most versatile member of the Los Angeles Dodgers pitching staff, Ross Stripling is equally diverse off the field. Driven to invest his signing bonus wisely and later with plenty of time on his hands after undergoing Tommy John surgery, Stripling became a licensed stock broker. Now he’s added another feather to his cap: podcast host. The “The Big Swing Podcast” spawned from Stripling’s friend, Cooper Surles, previously hosting a podcast. When Surles’ co-host was no longer able to keep up with the show, it led to conversations with Stripling. 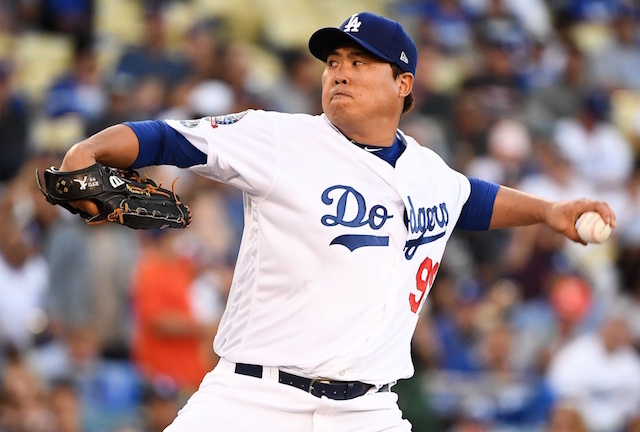 “We had always kind of talked about it, but the thing is I’d never given podcasts much of a chance,” Stripling told DodgerBlue.com of the origins of his latest venture. “For whatever reason if I was commuting somewhere or working out, I’m either going to watch something on Netflix or listen to the radio or music. But then I tried to give podcasts a try and started listening to “Pardon my Take” and Joe Rogan and a couple others, and just really enjoyed them. The show debuted at the end of January with an introductory episode that featured Super Bowl LIII picks. Former NFL quarterback Jerrod Johnson was the first guest on “The Big Swing Podcast” the following week, and he’s one of two football players to appear. While understandable, Stripling erring on the side of caution has led to listeners, or ‘Swingers,’ clamoring for more Dodgers content. “Most of our feedback has been, ‘Hey, you guys are doing a great job but we want to hear more Dodgers stuff,'” Stripling said. Former teammates Kyle Farmer and Alex Wood appeared on the show’s latest episode, which released Monday. An interview with Walker Buehler will be released March 25, and Kiké Hernandez and his wife Mariana recorded an episode that can be downloaded April 1. Podcasting is still new to Stripling, who is enjoying being on the other side of an interview and the overall learning process. “Normally I’m the one who gets interviewed,” he said. “So to sit down and try to prepare an interview and then get mixture of personalities where some guys will go on and talk for 10 straight minutes and others you have to really work to get some stuff out of them. So that’s been fun. That’s a side of stuff that I’ve never really done. Coming up with bits that people would find entertaining has been fun. “The Big Swing Podcast” can be downloaded on iTunes and followed through the show’s Twitter and Instagram accounts.